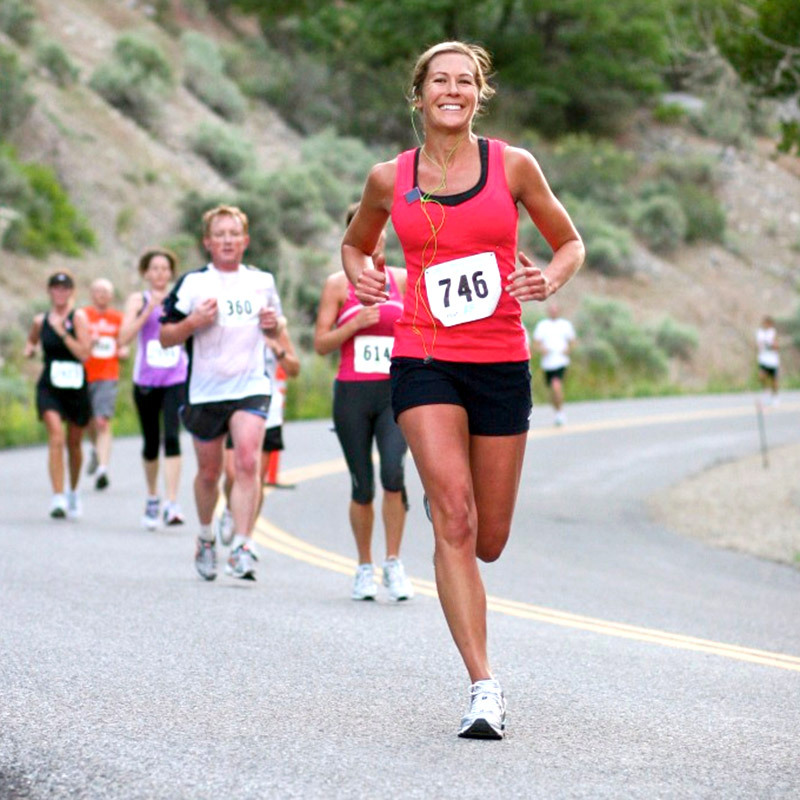 Join us for our half marathon down beautiful American Fork Canyon to help local patients fight cancer. All runners are required to ride buses to the start line. You must show your bib to get on a bus. Buses will begin departing Art Dye Park at 3:45 a.m. The last bus will depart Art Dye Park at 4:45 a.m. sharp. If you miss the bus you will not be able to run. It is critical we have an on-time start, so please come early and enjoy watching the sunrise over the Wasatch Back. DO NOT BE LATE! And many other great prizes! The half marathon will be chip timed. Your time will start as you cross the starting line (so it won’t matter if you’re in the back of the pack!) and stop as you cross the finish line. 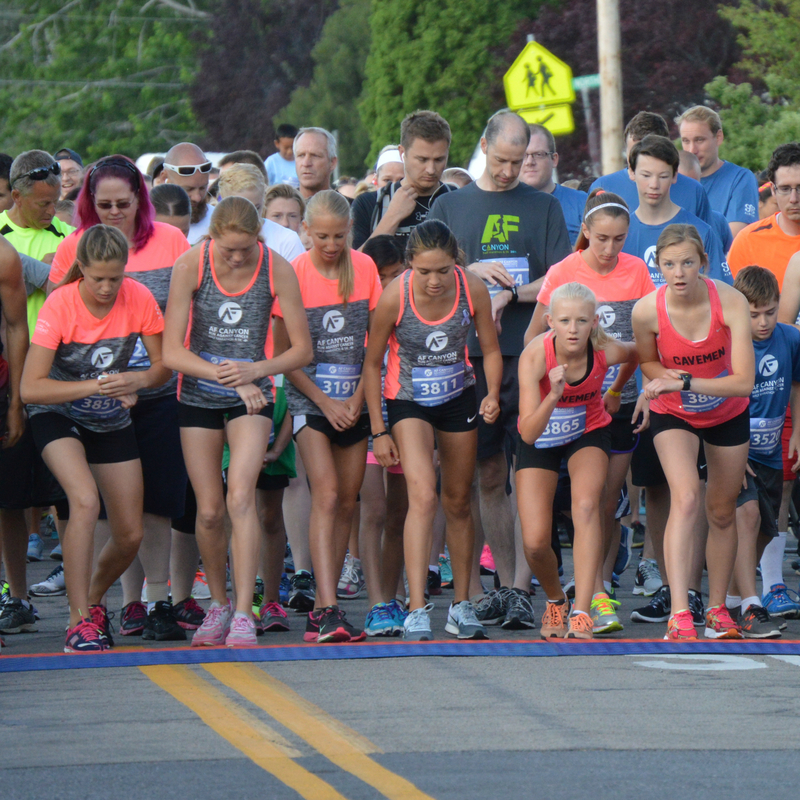 If you think you may be a top finisher in the overall male or female category, please be sure to begin close to the actual start line at the gun shot start. All other awards will be determined by chip time. During the event, the westbound lane from the mouth of American Fork Canyon to Tibble Fork will be closed to motorized vehicles from 4 a.m. to 8 a.m. All runners are required to be out of the canyon by 8 a.m. (The canyon is the first seven miles of the course. This means you must be averaging at least a 16-minute mile pace to be out of the canyon by 8 a.m.) Any remaining runners will be picked up by the sag wagon and brought to the finish line. The entire course will close to runners at 10 a.m.
Because SR 92 is a narrow canyon road, traffic crews will close one lane of traffic until the mouth of American Fork Canyon. Whether in the canyon or anywhere else on the course, please run with extreme caution to ensure your safety. Please stay in the eastbound lane. Any runners who run outside the marked cones in the canyon may be disqualified. Participants run at their own risk. The bag you receive at packet pickup will be labeled with your bib number and will act as your gear bag for collection at the start line. The vans carrying these bags down to the finish line will leave at 5:50 a.m. Please have your items secured in your gear bag and dropped in the vans before the scheduled departure. There will be a clothing drop off bin at the second aid station. Any clothing or other items left at the drop off bin, and along any part of the course route, will be considered a charitable donation to Deseret Industries. Volunteers will not be able to keep track of clothing or other items left along the route or aid stations for runners at the finish line. Each mile will be marked throughout the course. Finisher Medals will be provided to all half marathoners who finish the race. Age division awards will be given to the winners of each age group. Age division winners can pick up their prize at the awards table at the finish line. Simply present a copy of your results card showing your place to claim your prize. 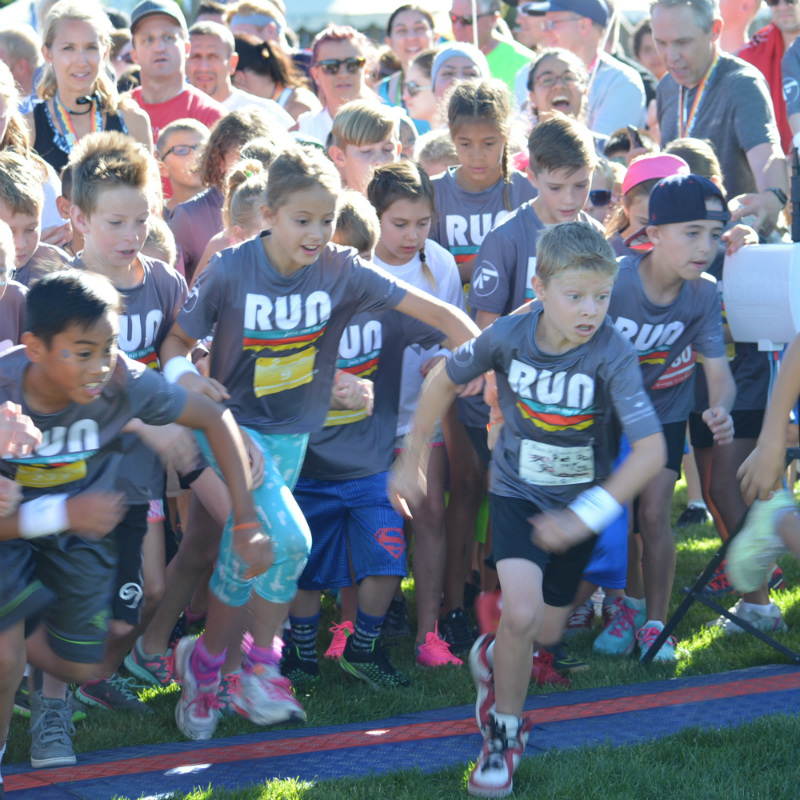 Packet pick up will be on Friday, June 21, 2019, from 11 a.m. to 7 p.m., at Art Dye Park (550 E. 1000 N., American Fork, UT 84003). Make sure to bring a valid ID. You may present signed note and a copy of a friend’s ID to pick up their packet for them. Each runner will receive a performance shirt (men’s and women’s sizing), finisher medal, window decal, performance running socks (first-come, first-served). Half marathoners will also receive a space blanket (to help keep warm at the Tibble Fork starting area) and a custom AF Canyon Run Against Cancer hat! Other SWAG for all racers will be provided in your bag at packet pick-up. The starting area is in the parking lot of Tibble Fork in American Fork Canyon. We will have a portion of the parking lot reserved for a holding area. Please help us keep this area beautiful by not walking on the surrounding vegetation. Our emcee will share some great stories and announce our prize drawings until the race starts promptly at 6 a.m. Those who win a prize at the start line can retrieve their item after finishing the race. As mentioned previously, do not attempt to drive to the starting area as it will be closed to traffic. Photographs will be available FOR FREE the week after the race for downloading. We hope you can find a great photo of yourself and share your great accomplishment with your friends. While the canyon will not be accessible to fans cheering half marathon runners, there are other places to cheer. Good cheer locations include Heritage Park in Cedar Hills, Murdock Trail through Cedar Hills, and the finish line at Art Dye Park. We encourage you to get your friends and family out there to cheer you on! Free cheer cards, donated by SelectHealth, will be available at packet pick up or at the finish line area. While not prohibited, we ask you be respectful and safe while jamming to your tunes. 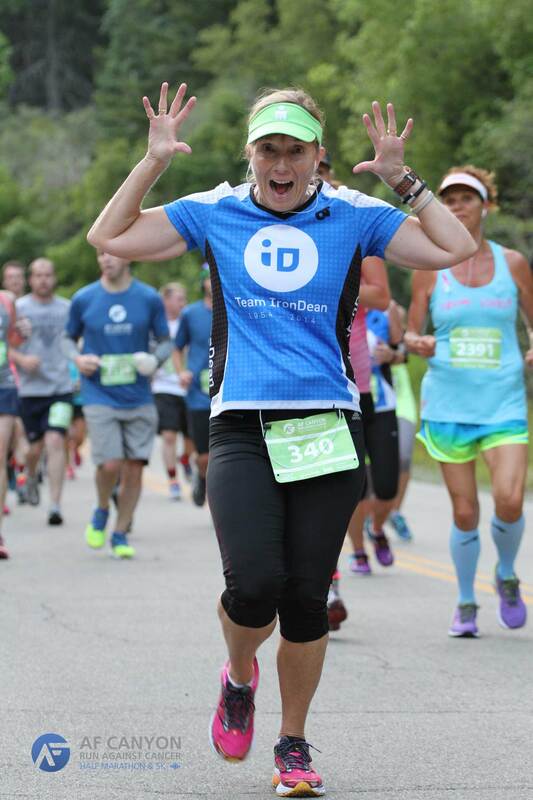 Running for my husband, Dean, an amazing man. He was diagnosed with brain cancer in July of 2012 and in spite of the dire prognosis, he remained positive and upbeat.